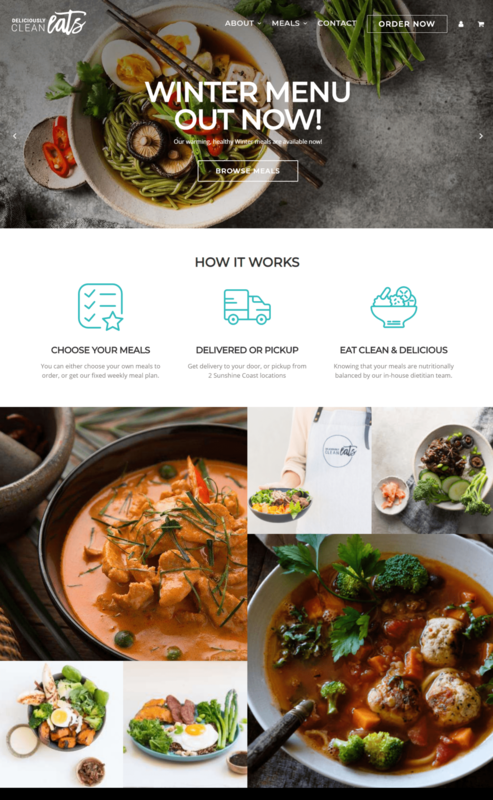 Deliciously Clean Eats is a pre-packaged meal provider based in South East Queensland, Australia. Meals are ordered in advance on the website and delivered to the customer’s home. Each customer selects their meals and snacks before completing their order with the WooCommerce checkout. But with a huge number of options and variations, the order form needed to be made customer friendly. That’s why Deliciously Clean Eats chose to use our WooCommerce Product Table plugin. 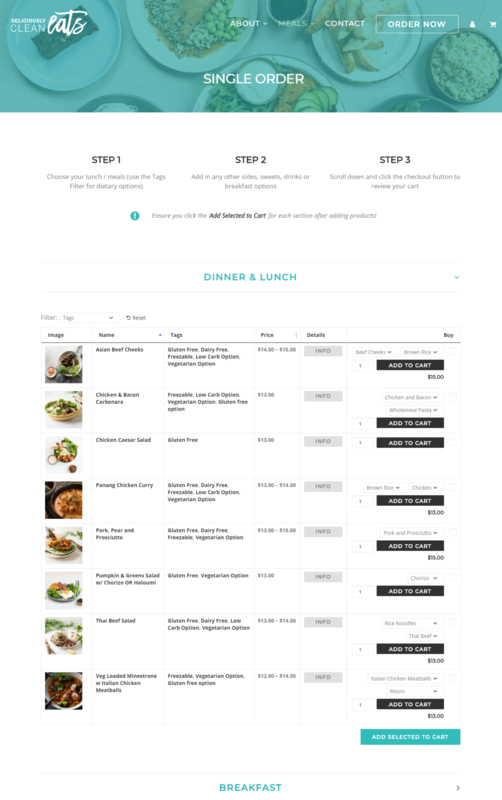 They set it up by following the steps in our tutorial about how to build a WooCommerce restaurant ordering system. The order process is now quick and straightforward. All the meals can be viewed on a single page and customers can filter the options based on their dietary requirements. Variations for each item, such as a vegetarian alternative or wholegrain substitute, can be selected from dropdowns for each item. The quick add-to-cart button and checkbox for each item makes it a speedy order process. And if customers need more details for each menu item, they can click the ‘Details’ button which links to the product page.